EZ Brushes are some of the most versatile detailing brushes on the market. Originally designed to fill a gap in the market for cleaning motorbikes, EZ Brushes have now become a staple in car detailing. 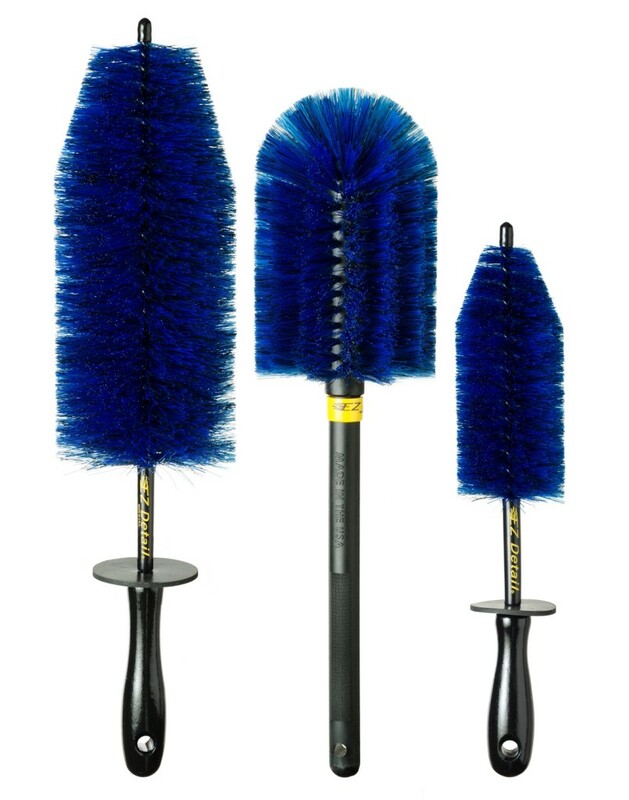 The Original and Mini EZ Brushes are designed to get in all the nooks and crannies of motorbikes and car wheels. The soft Nylon Nylex bristles will not scratch any coated, painted, polished, plated or blank metal surface. Each bristle has a unique, multi-edge structure that provides excellent cleaning power, and the bristles bounce back to their original shape after each use. The GO EZ Brush has the same soft non-scratch bristles but uses a different bristle pattern and rigid stem to offer a much different tool compared to the original brush.